What do you know about gamification and Gamilab.com, play this game to learn even more. Check out how many questions you can answer correctly and earn the bragging rights to be called the King of the Mountain - The Grammy Edition. Everything is more fun when it’s a game! GamiLab is a new platform where you can create easy, fun and educational games for FREE. GamiLab uses game elements to motivate and engage players to learn faster and be more involved in their own learning. By using elements like points, stars, highscores and badges we make learning feel like a game and motivate the players to reach for the stars. GamiLab makes it easy to customize the games for all ages and skill levels. By creating various learning paths where you set custom requirements for opening new levels you make each player active in self-learning. And remember, there is no wrong answers in gaming. So check out our lab and gamify your teaching today! 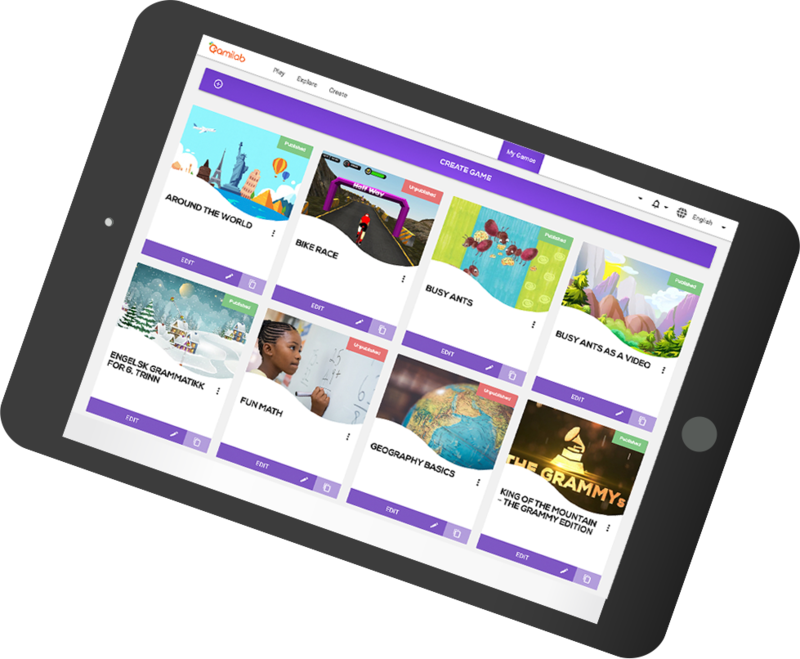 Whether you’re creating a fun quiz or a full curriculum learning game, GamiLab is your all-in-one solution to create the interactive content of your dreams. In our lab you can mix, match and choose between interactive videos, flip cards, drag & drop, fill in the blanks, multiple choice quizzes, assessments and much, much more. The built in question bank contains more than 30000 questions and exercises for you to use. And don’t forget, you can import your Quizlet study sets as well, along with YouTube videos to create your own learning videos with tasks. Studies shows that use of avatars increases both student involvement and effort. 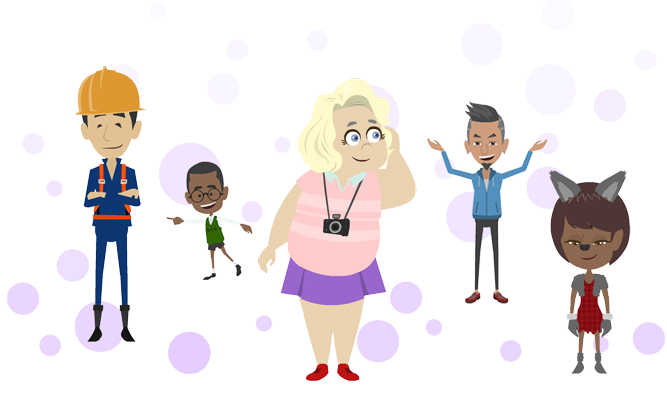 Players can use our avatar generator to create their own personal avatars. The avatar allows the player to perceive themselves in an alternate way in the game, which in turn gives them more confidence to try and do their best even when they’re not sure of the outcome. And of course, it’s a fun and creative way to express yourself!